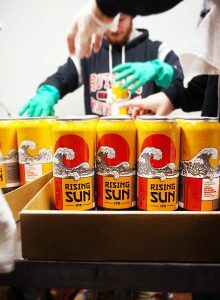 WILMINGTON, Del.– Iron Hill Brewery and Restaurant announced the release of Rising Sun IPA, made with Japanese Sorachi Ace hops to create a spicy citrus flavor profile with the perfect kick of American hops. 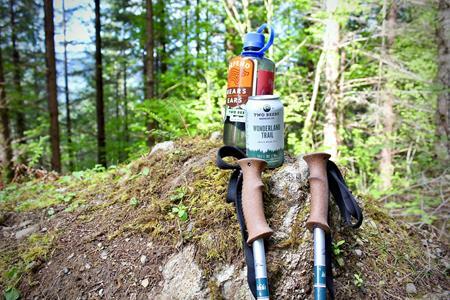 Rising Sun IPA is sure to bring out your inner ninja with a fresh kick of hops and a punch of flavor. It is available on tap and in 16 oz. cans at Iron Hill locations throughout Pennsylvania, New Jersey and South Carolina. The American-style IPA has a 7.3 percent ABV and features notes of lemon and coconut, making every sip a Zen-like experience. The clean and citrus-forward flavor of Rising Sun IPA complements light, fresh flavors like Iron Hill’s Baja-Style Fish Tacos while the sweetness of tropical fruit notes makes a delicious duo with heartier dishes like the Teriyaki Grilled Chicken Breast. The savory flavors of wasabi vinaigrette and sesame-glazed broccoli along with the fruitiness of Rising Sun IPA create a distinct and harmonious aftertaste. To enjoy this food and beer pairing at home, order dishes online and pick up a 4-pack at any of the 16 Iron Hill locations. Named after the historic Revolutionary War landmark in Delaware, where General George Washington battled the British, Iron Hill is among the most enduringly successful craft brewers in the United States. Its 22-year consecutive medal-winning streak at national and international competitions is the longest by any independent craft brewery. Founded by home brewers Kevin Finn, Mark Edelson and restaurateur Kevin Davies in Newark, Delaware in 1996, Iron Hill Brewery & Restaurant has blossomed from one restaurant and brewery to 16 locations up and down the East Coast, including Pennsylvania, Delaware, New Jersey and South Carolina. Each brewery/restaurant has their own scratch kitchen and craft brewery, allowing individual chefs and brewers the creativity to pair the freshest ingredients with the highest quality grains and hops. For 22 years, Iron Hill has incorporated beer in everything they do. As a result, Finn, Edelson and Davies are viewed as innovative business leaders in their home state of Delaware and in the Mid-Atlantic region. They started Iron Hill at a time when small breweries were just beginning to gain mass appeal around the country and their entrepreneurial, forward thinking helped build them into what they are to date. Each individual location has its own head brewer. Each location dedicates itself to the freshest ingredients and friendly atmosphere for all age groups – helping change overall perceptions about brewpubs one meal, one pint, one community at a time.